salmon, chickpea flour, potato flour, tapioca starch, maple syrup, vegetable glycerin, carrots, apples, spinach, cherries, sweet potatoes, cranberries, natural flavor, salt, flaxseed, avocados, eggs, salmon oil, phosphoric acid, sorbic acid (as preservative), vitamin E supplement, citric acid (as preservative), mixed tocopherols (as preservative) , rosemary extract. 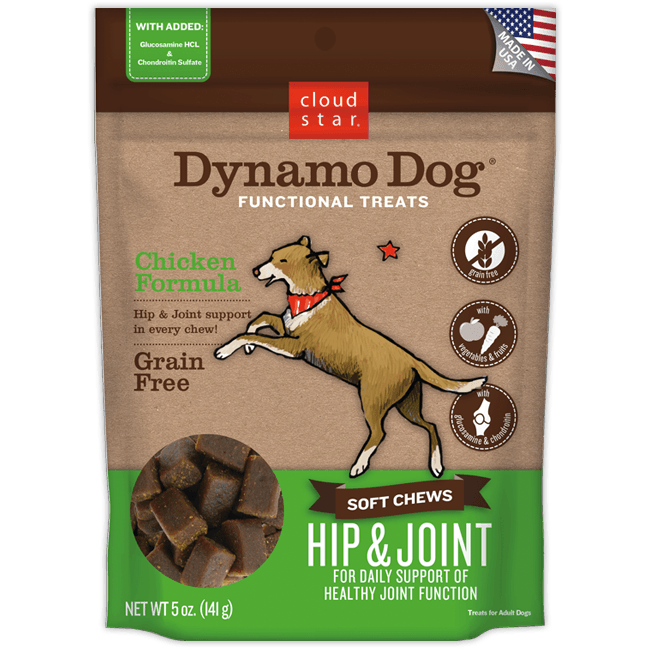 We were sold this product as a dog training treat but we realized the dosage is only a little more than one treat per day for our 60lb dog. She had been getting 3 (split in half) each day for the last 3 days and she had bad diarrhea today. Is it likely that it was just eating too many a day, or more likely an intolerance to them altogether…in you best judgement opinion? We have ceased giving them to her entirely for now. Thx. It is likely she had been having too many of them in a day, but please discontinue use and consult your vet if the problem persists. 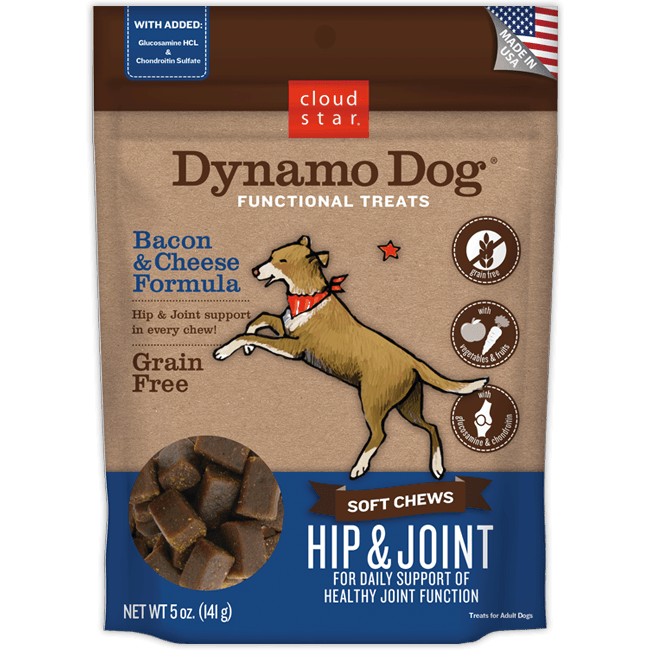 There is so much information out there on dog food. 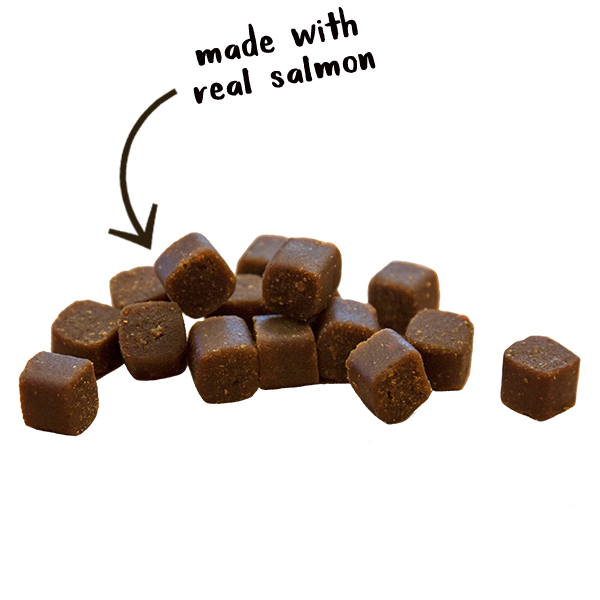 There are avocados in these treats, which it seems isn’t good for dogs due to Persin found in avocados. 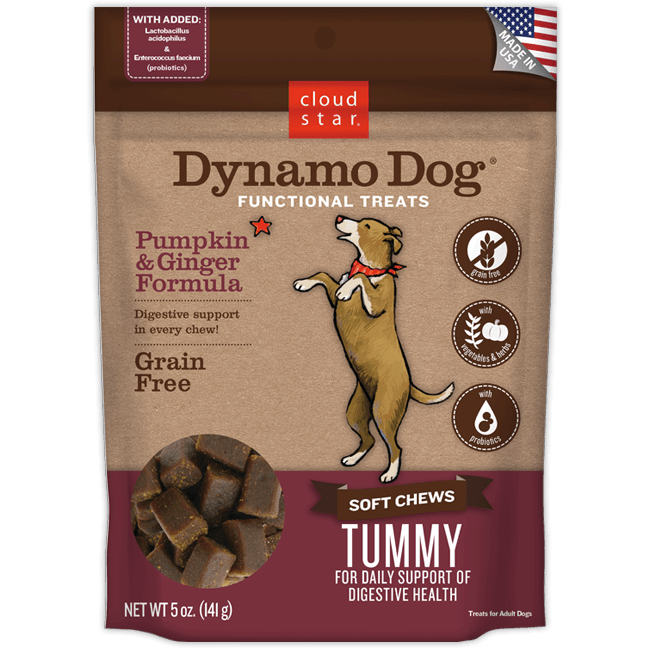 While it says most places that little amounts will not harm them premanently is it worth it to even have it in the treats? What is the reasoning? I bought these because I have used other products before and didn’t even read the ingredients until too late. Just wanted to follow up in case there is something I am unaware of. Thanks! While the pit remains unsafe, avocados are rich in antioxidants, healthy fats and protein that help support healthy skin and coat so that is the reason we use them in that product. Please feel free to reach out to us via email with any questions or concerns you may have. We would recommend consulting your vet in regards to the inappropriate urination, as this is not a reaction we would expect to see. 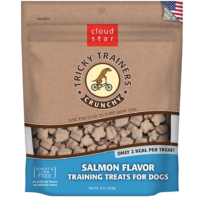 Feeding recommendations are listed on the bag depending on your dog’s weight and the recommended number of treats can be fed all at once or throughout the day. Please reach out to us directly at mail@cloudstar.com with any additional questions or concerns. 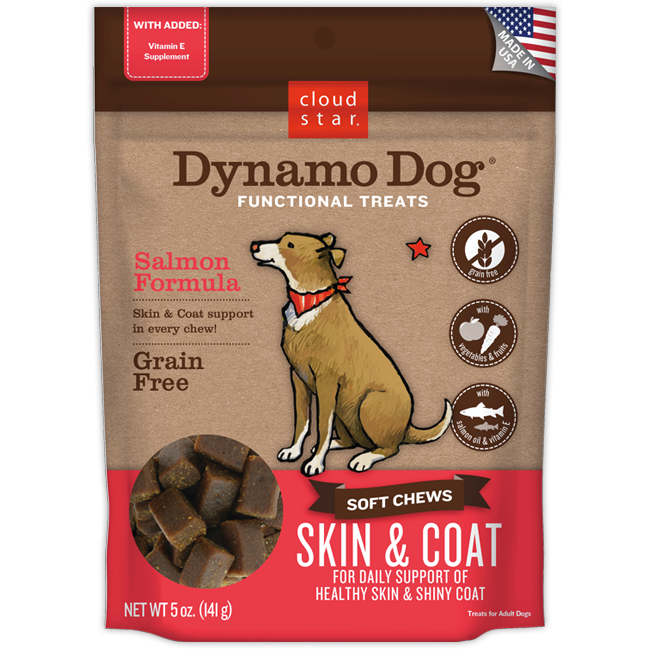 I see it’s indicated that the skin and coat Dynamo dog chews are manufactured in the USA. Are all the ingredients sourced in the US as well? 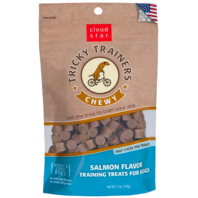 All of our treats are made in the USA. Some of our ingredients are globally sourced but all ingredients are from pre-approved suppliers only. We source as many ingredients as we can from suppliers in the US unless they are not available or do not meet our standards for quality, such as some vitamins and minerals.